Once you’re used to Piracetam you might think about stepping up to Oxiracetam, or 4-hydroxy-2-oxo-l-pyrrolidineacetamide. While Oxiracetam hasn’t been studied as much as Piracetam, research suggests that it’s an even more powerful cognitive enhancer. 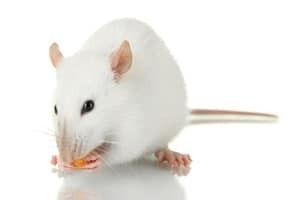 Studies of rodents and humans show that Oxiracetam protects rats and mice from amnesia after physical or chemical injury, such as administration of scopolamine, and that it improves cognitive performance in people with brain damage and various forms of non-Alzheimer’s-related dementia. 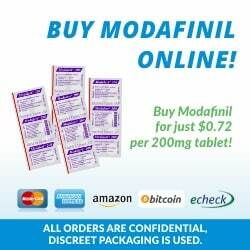 >> Looking to Buy Oxiracetam? Click here to see our recommended sellers. A 2013 study of rats with traumatic brain injuries revealed that giving them Oxiracetam made it easier for them to find their way through a maze. Oxiracetam appears to have a stronger effect on memory and cognition than Piracetam does. In a 1986 study, mice were shocked and then given either Piracetam or Oxiracetam. Neither group of mice developed amnesia as a result of the shocks. However, the mice given Oxiracetam were much more likely to avoid getting shocked again than the mice given Piracetam were. More recent studies of human patients with vascular dementia or with mild or medium brain injuries show that Oxiracetam is better than Piracetam for reducing dementia symptoms. Anecdotal reports suggest that Oxiracetam is most useful for enhancing logical thinking skills, for example, when studying mathematics. An interesting potential benefit of Oxiracetam is the ability to correct deficits in social recognition. In an experiment, rats were given trimethyltin (TMT). This made them unable to recognize other rats they had seen 30 minutes before. If rats were given Oxiracetam a week before they were given TMT, they did not experience this effect. Not much is known about how Oxiracetam improves cognitive performance. In general, the mechanisms that enhance learning seem to be similar to those found in Piracetam. Studies in rats suggest that Oxiracetam affects acetylcholine and glutamate receptors. Acetylcholine is associated with memory and learning. Glutamate can act as toxin in the body, building up and eventually causing neurodegenerative disorders in the elderly. Oxiracetam might facilitate neurotransmission by preventing the blockage of calcium channels and altering the composition of the cell membrane. Unlike Aniracetam, Oxiracetam does not seem to affect dopamine or serotonin receptors, and therefore does not act as a mood enhancer. It will not help you if you are seeking relief from anxiety or depression. Because Oxiracetam is stronger than Piracetam, it’s probably best not to try it until you are comfortable with how Piracetam affects you. Oxiracetam seems to be about as strong as Aniracetam. However, Oxiracetam is more bioavailable and therefore stays in the body longer, so you don’t have to take it as often. Oxiracetam’s bioavailability ranges from 68 to 82 percent. Aniracetam, on the other hand, has a bioavailability of around only 0.2 percent. Recommended doses of Oxiracetam range from 600 to 3,000 milligrams, once a day. It’s best to start with a low dose and work your way up. 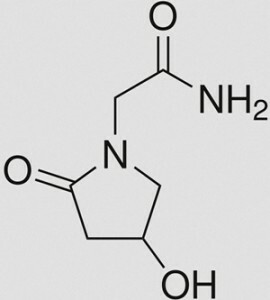 Oxiracetam is water-soluble, so you can buy it as a powder and dissolve it in water or juice. While a powder is less convenient than a pill, purchasing it in powder form means that you can make minute dosage adjustments. You can stack Oxiracetam with other nootropics, but you’re better off trying out Oxiracetam on its own first, to see how it affects you and what your optimal dose is. 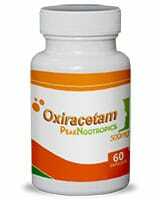 Some people report experiencing headache, brain fog or gastrointestinal upset after taking Oxiracetam. Taking choline could help prevent headache. In a case reported in 2011, a man undergoing spinal surgery experienced anaphylactic shock after being given Oxiracetam. 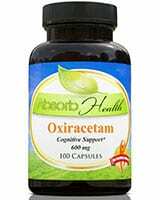 Is Oxiracetam right for you? You don’t need a mood enhancer. If you meet these requirements, try a low dose of Oxiracetam and see how it affects you. Originally posted on May 27, 2014, last updated on December 4, 2018. I’m curious about the use of Oxiracetam for dementia. IF Oxiracetam is a drug which increases/enhances cognitive performance, how come “brain fog” is listed as a possible side-effect? To me, this reads as counter productive to its intended purpose. Or perhaps I am misunderstanding. Explanation/clarification would be most appreciated and for this I thank you in advance.